"My name is Sibby A. Talley. I was born in Overton County, Tennessee, 1849. I claim my Indian blood through my father. I make no claim of Indian blood through my mother. My father’s name was Samuel Demps. He was raised by a man by the name of Talley and took his name. My father got his Indian blood from his father whose name was David Demps. I think my father was born in East Tennessee in 1830. I do not know what county. I never saw my grandfather, David Demps. I do not know when or where he was born. I was about eleven or twelve years old when my father died. I am unable to trace my Indian ancestry farther back than my grandfather, David Demps. I have heard that my father and grandfather lived among the Indians, but I do not know whether they lived as members of the tribe or not. Both I and the ancestors through whom I claim are regarded as white people with a mixture of Indian blood. None of the ancestors through whom I claim ever had an Indian name that I know of. I do not know where my ancestors through whom I claim lived in 1835. In 1851 my parents resided in Overton County, Tennessee. Neither I nor any of the ancestors through whom I claim ever received any money or land and were never enrolled. I have heard from my father that my grandfather was a full blooded Cherokee Indian. In about 1893 I made some proof in regard to my Indian ancestry. My proof was satisfactory but my claim was filed too late and I never received any land." The application of Sibby A. Tally also bears the signature of someone whose initials were T.A.B., Assistant to Special Commissioner of the Court of Claims. It appears that the papers required to be filled out for the purpose of filing a claim had been prepared by two lawyers from Byrdstown. Their names were W.J. Chilton and W. H. Reagan. Sibby Ann Tally, who claimed to be one-quarter Cherokee, had her picture taken in August of 1907 in order to show her features and likeness to Indians. Even though she was only 58, she looks much older. Sally Ann Tally was 58 years old when she filed her claim. She stated on her application that she was not married. Her grandparents’ names were David Demps on her father’s side, his wife’s name was unknown. Polly Smith was her grandmother on her mother’s side, and her husband’s name was unknown. 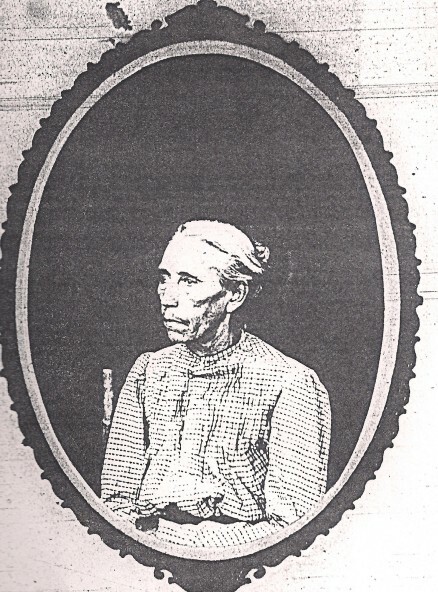 The children’s names on her mother’s side of the family were: William Smith; George W. Smith; Thomas Smith; Margaret Smith Flowers; Lean Smith Mullins. "Comes Matilda Tally, age 77 years, address RFD #2, Livingston, Tennessee, (Taylors Crossroads) who being duly sworn by the undersigned authority states upon oath that she is the surviving and lawful widow of Samuel Tally; that the said Samuel Tally was born July 29, 1830, and died December 12, 1862. That he, the said Samuel Tally, was a half blood Cherokee Indian; that the father of affiant’s husband was David Demps, a full blood Cherokee Indian and a member of the Eastern Cherokee tribe as long as he lived and till the date of his death sometime after the Treaty of 1835-1836. Affiant states that Malissa J. Tally, Melinda C. Taylor, formerly Tally, Sibby Ann Tally, James E. Tally, and Burrel Tally are the children and lawful issue of her said marriage with the said Samuel Tally; that the three first named of her said children have heretofore made application as Eastern Cherokees for their share of money appropriated for the Eastern Cherokee Indians by Act of Congress approved June 30, 1906; that Sibby Ann Tally, one of her said children, had her photograph made during the present month at the request of her attorneys to show her features and likeness to the Indian. Affiant says further that her said children have all the time been reputed to be of Cherokee Indian descent; that their said father claimed it for them as well as for himself, and held them out to the world as part Cherokee Indians." This affidavit was signed and dated August 22, 1907, and bears a Notary acknowledgment by Joe D.H. Hatcher. Despite all the efforts made on behalf of Sibby Ann Tally to receive a share of the funds appropriate by Congress, her claim was rejected. The reason given says in part, "There is no evidence of sufficient strength to establish a genuine connection with the Cherokee tribe." From information I found on the internet regarding how this one million dollars was distributed, it seems there were 45,847 separate applications filed, representing a total of about 90,000 individual claimants. 30,254 were entitled to share in the fund. Evidently no one in this area who filed a claim was approved.